Ok friends, we’re going to try this whole monthly recap thing again. I’ve done them before, mostly in months where I was participating in a challenge – like tracking my spending, or trying out the Mindful Budgeting Program. February just ended, and although I didn’t have a specific challenge going, I was tracking my spending. At this point, it’s become a habit that I don’t want to give up, especially since the data has already come in handy. In the interest of giving you guys a bit of an update, I wanted to share some of the wins and not-so-much-wins from the past month! It also helps that a wonderful group of Track Your Spending challenge participants and I kicked off the first day of the challenge strong yesterday, so it seemed like as good a time as any to take a deeper look back at the past month. This month was a big win for my gas spending – and not only because gas prices are shockingly low right now. After a January that was surprisingly filled with car-related adventures, apparently I drove way less this past month, because I spent a grand total of $30.57 on one tank of gas in February. Perks of having a car that deserves the name Little Car, I guess! This one was totally my fault. Unlike the time I got a $458 ticket for not renewing my license plate, this one I saw coming from a mile away. Or a kilometre, I guess, but who says that? That’s totally not the saying. I park my car on the street, because the only time that our street parking is restricted to a few hours at a time is during the day, Monday to Friday, when I’m at work. Since I drive to work, problem solved, right? Until you stay home from work so sick that you can barely leave the couch. Moving your car every three hours when you feel like that sounds so bad that a $41.50 parking ticket almost seems worth it. Alas, I’m giving my past self a pass on this one. It’s definitely not a win, but I remember feeling pretty crummy, so whatever. It could be worse! It could have been a $400 ticket. As my blog name blatantly states, my current goal is to save half my income. I came so close this month. Close enough that I could almost taste it. That was in large part due to the fact that my spending was at its lowest final tally since I’ve started tracking, ringing in at a cool 51.1% of my income. I have to say, when I calculated how much 1% of my income really is, I couldn’t help but give the new handbag I bought this month the side eye. But you know what, I’m counting February as a win, and I can even forgive my new handbag. Really. Because this month also saw me going out to brunch, having dinner at a restaurant with friends before they went on a big trip, buying The Boyfriend a small present for Valentine’s Day, going for drinks with people at work, treating a new employee to lunch, hosting friends for dinner at our place and buying The Dog a new toy that he went legitimately nuts over. Oh and I drank some really good beer. It is not like I was taking a hard-line stance on frugality over here. If I had been, my goal would have been toast. The fact that I was able to get this close to my goal, without even focusing too hard on it beyond my regular habit of tracking my spending, makes me optimistic about the potential to hit that goal in the future. For now, I’m starting March with optimism, a fresh spreadsheet, with a whole team of Track Your Spending challenge participants who are diving into the habit of taking a look at where their money is going. I’ll also be taking the Small Change app, from UnitedWay Ottawa, out for a spin, and challenging myself not to buy fancy coffee drinks for the entire month (I can still buy plain coffee and tea, because baby steps.) The premise of the app is simple – it helps you keep track of your savings goals, and for every time you track your savings against a goal, TD Canada is donating $1, up to $50,000, to support financial literacy programs here in Ottawa. I haven’t really put it through its paces yet, but I’m excited to try it out, and I’ll let you know how it goes in my March recap. 50% savings goal, I’m coming for you. Do you guys have any big money goals or challenges you’re taking on this month? Or wins from last month you want to share? I would love love love to hear about them! 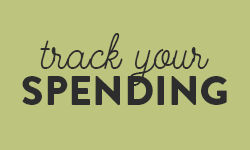 Also, what do you think of spending recaps – love or loathe? Am I the only one who loves reading them? Ahhhh! So close! But it’s still a great accomplishment, especially since you weren’t depriving yourself of activities. I’m sure next month you’ll hit it! So..close! You’ll get there next month Des! After reading this I decided to calculate how much of my income I saved this month and it turns out I BARELY squeaked over the 50% line. We’re talking 50.1%. Not bad, considering I also wasn’t paying attention to my spending too much. Having a big chunk of my income come from my side hustle also helps, since its easy to funnel 100% of that into savings. 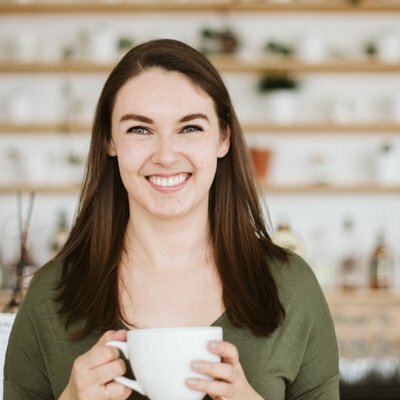 I saw that in your net worth recap – you ROCKED your side hustle income last month Jordann, congrats! And way to go on the 50% thing, especially with your big vacation! Sometimes, putting off a purchase is worse then spending the money now. I’ve been using a completely functional, if ugly, black leather bag for 3+ years. My mom actually found it in a second hand store and gave it to me. It’s not my style but it works, you know? I’ve been humming and hawing over a new bag but could never justify it because ugly bag is fine. Last year I invested in a light grey Patagonia jacket (and I do mean invested, because we all know Patagonia lasts forever but is $$$) and the black straps left marks all over my shoulder and back. ???????????? Still have the jacket, but the marks wont come out. My free bag ruined my $$$ jacket. OH NO! I am so so so sorry to hear that and about your jacket! (Although can I just say that calling it “ugly bag” is totally something I would do and I love that you call it that? Aside from all of the horribleness that it caused, that is really cute.) Thank you for sharing that example – it definitely makes me feel a bit better about replacing my own version of ugly bag. I feel like the equivalent would have been my ugly bag’s strap breaking and spilling all the contents of my bag in the middle of an airport or something, and breaking a laptop or my cell phone. Which omg actually sounds so within the realm of possibility now that I put it that way. Serious thanks for helping me see this in a different light! Wooo for small gas expenses! I also only spent $90 on gas in February, which is way less than normal! Carpooling, and an injury definitely helped that, but that’s beside the point. Also, a huge high five for being that close to saving half of your income in February. Proud of you! So close!!! My February was not that successful… In fact, I think technically my savings rate is negative because we hit up our emergency fund to pay for Big Cat’s surgery… You are so going to hit 50% in March, I can just feel it! Thank you! And trust me, I have a few of those months coming up this summer thanks in large part to wedding season, haha. I’m saving for it specifically now, but August is going to be a budget bloodbath. I wouldn’t be surprised if we hit negative numbers that month too! PS. I hope Big Cat is recovering well! I totally hear you on wedding season… We’ve got a few this summer too! And Big Cat doing great! I think he’s actually feeling better than before, which is great news and means that the surgery (and money spent) was worth it! It’s very close! Way to go! I am still working on how to cut down my expenses and increase my saving. I am not the person very good on follow my budget. Thanks Kat! 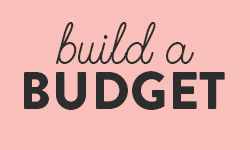 Honestly I’m not always the best at sticking to a budget either, haha – that’s why tracking my spending has worked for me, because it’s not like I have to stay within certain categories all month, I can just look at the total and try to adjust my spending habits the next month. Wow that is still an impressive number. Thanks for keeping it real for us. I like your idea of baby steps with your coffee, then you can find the optimal level that works for you. Bring on March! And honestly, I thought about giving up purchasing coffee altogether, but I’ve already got two coffee meetings on the books for this month that I specifically chose as coffees, not lunches, because it was cheaper! So as long as I stick to a $2 coffee, not a $6 latte, I figure I’m still coming out ahead. Congrats on a great month! You’re so close to your goal! I need to follow your lead and create a measurable goal for my money each month. My current goal is “to put every penny I can towards debt.” Sounded good to start with but now I’m realizing that not having a target number amount is holding me back. I have a goal number for the whole year so I guess I’ll start by dividing that by 12! Thank you so much Michelle! And yay to measurable goals! I found it was a BIG shift beyond just “save a lot” to “save 50%”, especially when I kept uh… not actually hitting the goal, lol. That said, I used to be saving about 20% a month, and since defining my goal I usually hit 40% in an average month! So it has definitely helped – I hope it helps for you too! Congratulations on this win, Des! You did great! I’m also trying to save half of my discretionary income this year but I haven’t come close to the goal like you did. I haven’t started with my February recap but I think I hit 40% this month, which I’m happy with because my savings rate last year ranged from 30-35%. I love reading spending/saving recaps, I always look forward to them. P.S. Like everyone else, I think March will be your month! I can feel it too! Have a great weekend (I mean almost weekend for you). Congrats on hitting 40% – that’s HUGE! While we didn’t make a monster debt payment last month, I’m calling Feb a win, too. We are one step away from officially launching our biz, so we’re saving a bit o cash. I like spending updates because they’re more like life updates. We had a lot happen last month, so it’s nice to catch up with everyone via these posts! I love that perspective – thinking of these as more general “life update” type posts – because it’s so true! So much of “looking at my spending” is really just looking at what I did last month and how I felt about it, haha. PS. SO EXCITED FOR YOU GUYS AND YOUR BUSINESS! Count on all the retweets when you guys launch! The app sounds really wonderful – what an excellent motivator. And hooray for being close to your goal. You’ve got such amazing drive that I know March will be good to you. I’m curious: are you calculating the percentage out of your pre-tax or post-tax income? I want to calculate this myself for March, but it’s not clear to me what number is generally used for the “out of” part of the equation. Looking forward to seeing how you do this month! And this app sounds very cool; I wish we had something like that in the U.S.
Second Sarah on that pre-tax vs post-tax income question. I never know how to calculate it either. Hey Archie – I always use my post-tax income, for no better reason than it’s much easier since it’s the amount that shows up in my bank account every month, haha. And as much as I value all the amazing government services we get here in Canada, I kind of prefer not to stare the amount I pay in tax in the face every month, lol. Ugh shoulder pain is NOT ok, I’m so happy for you and your new backpack! Congrats Des! 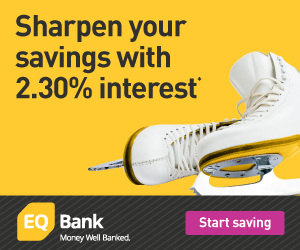 48.7% is an awesome savings rate! 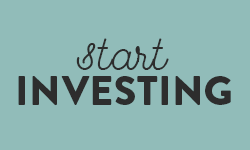 Before you know it, you’ll be like Mr. Money Mustache and saving like 70-80% of your income! Vic! Oh my god! Did you get a job and I MISSED IT? Either way congratulations on the paycheque! I can’t wait to hear all about what you’re up to! Congrats Des!! Thanks for sharing your progress 🙂 I always love reading your posts. Nice job almost 50%-er! Only needing half feels pretty awesome. You can feel it, right? Can you feel it!!? OH MAN CAN I EVER FEEL IT! I also had a mountain of caffeine this morning so that might have something to do with it.